The Portland Yacht Club is more than 110 years old and located on the Oregon shore across the eastern tip of Hayden Island. It has extensive recently upgraded moorage facilities. With Sage in Portland now I decided to join the club and moor the boat at the club facilities. 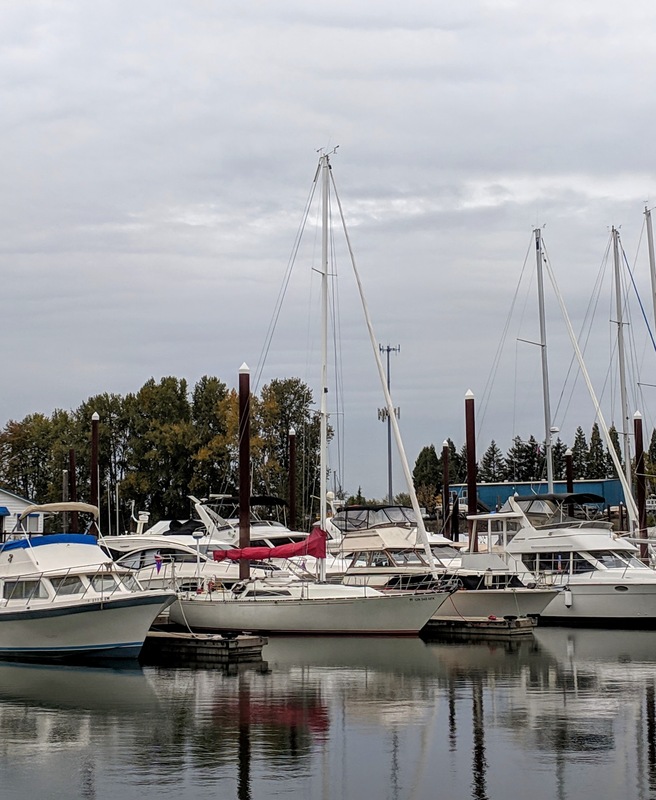 So the first weekend of November, Stephanie and I made the 4 hr or so trip from Scappoose, up Multnomah Channel, under the Savie Island bridge to the Willamette River and down to the Columbia. Opening the railroad bridge took a while due to a few trains crossing. The water levels of the Columbia River are still very low and even so we times the arrival with high tide the entrance channel to PYC still only has a depth of 8 feet or so which left only about 2 feet of water under Sage’s keel to spare.